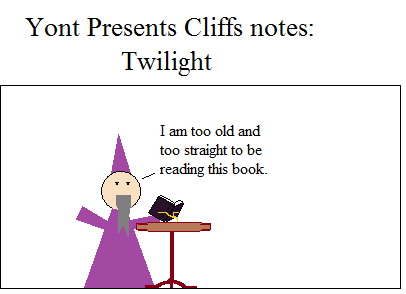 Inspired By True Events - This is actually how most guys view Twilight. This is actually how most guys view Twilight. Oh, Yont. I could make up more and more books for you to summarize all day. This is definitely going to be a recurring theme. Check out the first one here. Be sure to like this comic if you, in fact, enjoyed it, and comment if you didn’t.